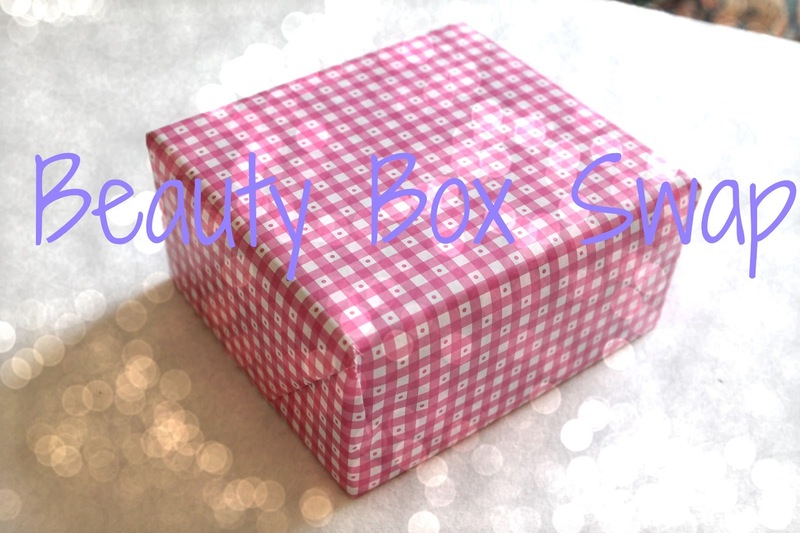 A few months ago I got talking with this very lovely girl and fellow blogger, Molly (check out her blog here) and after a few days of normal chit chat we decided to do what is known as a 'Beauty Box Swap' where two people buy beauty products for a set sum and send them to the other person. We decided to go for a budget of £50 where 1 product would be a high-end one. I sent Molly's package just before I left on holiday (see what was in it here) and found her's waiting for me once I got back home. 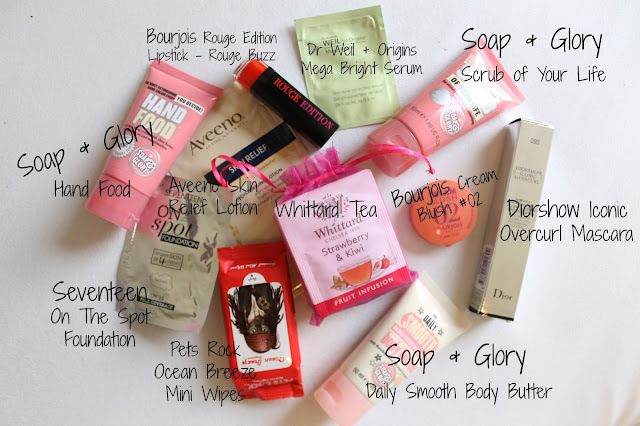 I have been waiting to do a post about what I got as I thought I'd do mini reviews of the products as well, but I realised that I couldn't wait any longer and just had to share her gorgeous selection with you all. 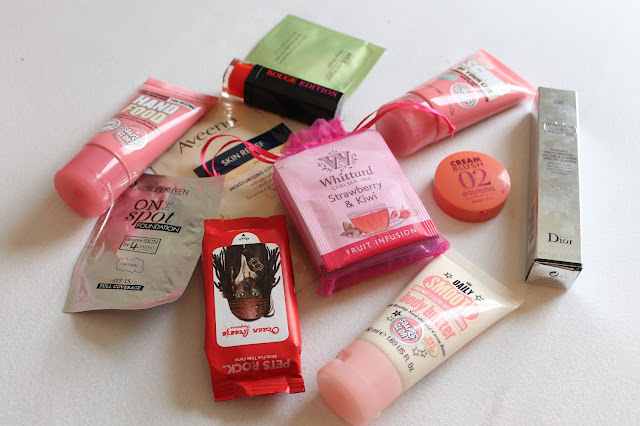 REviews of some of the products will be up soon though! Anyway here it comes! As you can see I got a hella' lot of things and they're all brilliant if I say so myself. The Cream Blush and Mascara are already practically part of my everyday routine and so are the three Soap and Glory products (gotta love S&G right? Smells like sugar and sweets!). I haven't gotten around to trying the small testers nor the wipes but I am sure I will love them all, especially the Dr Weil + Origins Serum as i know Molly raves about it :) And last but not least, the tea is divine! I am a tea and coffee person to the fullest and the flavours she chose (Strawberry & Kiwi and Blackberry & Elderflower) are honestly some of the best tasting teas I've tried :) I just want to say a massive THANK YOU to Molly - you chose some great products! 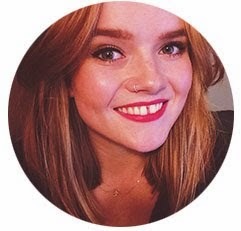 You should all check out her blog, she does some great reviews and beauty posts in general! Other than that I would just like to remind you all that Google Friend Connect is shutting down today so it is your last chance to move all your followers over to Bloglovin' something your can do very easily here. And I would love it if you'd like to follow me over there, that way you'll never miss a post! What a good idea, great post!